Christopher Laskero is an integral senior client advisor within the auto parts tenant vertical of Matthews Retail AdvisorsTM Single-Tenant Net-Leased Division. Christopher and his team specialize in the disposition and acquisition of single-tenant net -leased properties nationwide and have represented a driving force for an innovative, client-focused approach to brokerage. He leverages his finance and sales background to provide the utmost level of advisory service to his clients, combined with his unparalleled work ethic and comprehensive real estate knowledge, Christopher has utilized ties with key members of the auto parts industry. 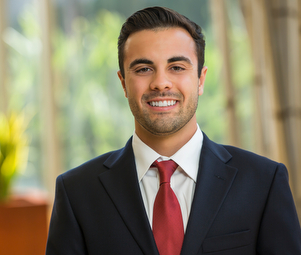 Christopher’s extensive market knowledge, experience, and passion for his work drive him to redefine expectations and enhance the overall investment position of his clients.